During 2018, the Environmental Education Association of New Mexico has embarked upon strategic systems thinking through community dialoguing. Thus far, EEANM has hosted two community dialogues for over 70 educators, teachers, and community members. EEANM opened up a virtual comment period for four weeks in August and September 2018 for input statewide on additional ideas and thoughts from our first two community dialogues. The comments received have been incorporated into the notes below. The “Economics of EE” Community Dialogue occurred on Tuesday, June 26, 2018 at the Bosque School. To review the notes, please click here. 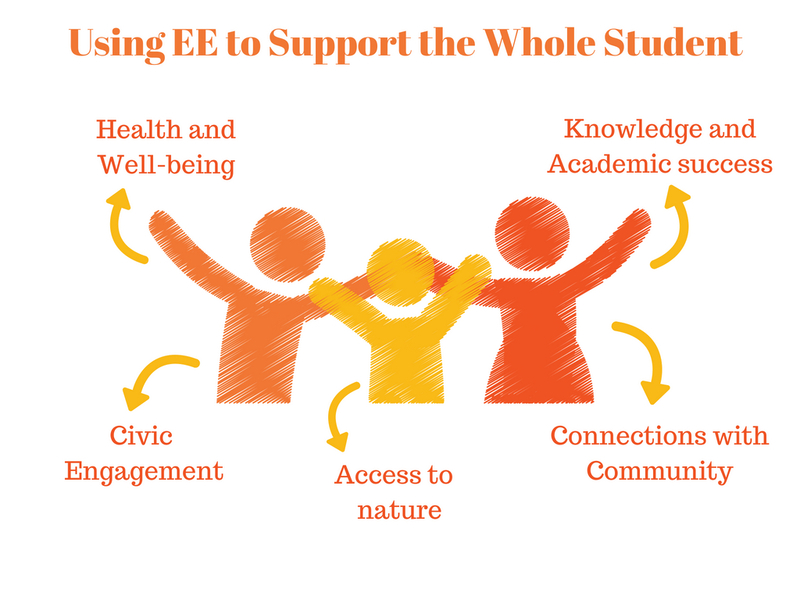 The “Using EE to Support the Whole Student” Community Dialogue occurred on Friday, August 3, 2018 at the Los Duranes Community Center. Despite overwhelming evidence on the benefits of environmental education for students and society, there are currently no systems or requirements in place for New Mexico’s 300,000+ K-12 students to learn out of doors. With roughly half of our lands being comprised of public lands, there are endless opportunities for New Mexicans to explore the beautiful landscapes and rich cultures of our state. We believe that every New Mexican should have access to high quality, engaging, and meaningful environmental education opportunities and are exploring the bigger picture to find ways to make this vision a reality. We know that students derive many benefits from outdoor and environmental education, including positive impacts on academic performance, motivation and interest in school, social and emotional skills, and civic interest and engagement. 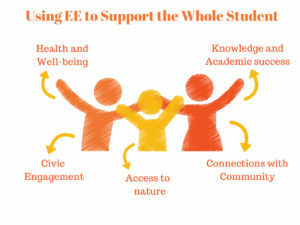 Through a community dialogue on “supporting the whole student,” we are seeking to explore what student needs can be met through environmental education, how we can make environmental education more multidisciplinary, how we can create socially and emotionally safe spaces for students, and how we can make environmental education more responsive to the unique backgrounds, perspectives, and experiences of students. 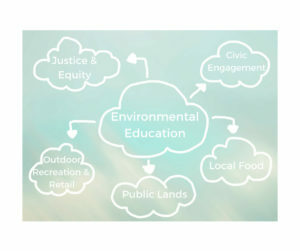 For more information on the benefits of environmental education, please visit the North American Association for Environmental Education’s new research database of over 1,000 research summaries and articles on the benefits of environmental education at https://naaee.org/eepro/research/library. Who: Educators, allies, partners, friends, community members, and those who love spending time outdoors. What: A World Cafe style community convening where your voice matters. Join us as we discuss solutions for greater impact in the environmental education sector. Bring your best ideas and solutions to share with your community in facilitated small groups of colleagues, allies, and partners. 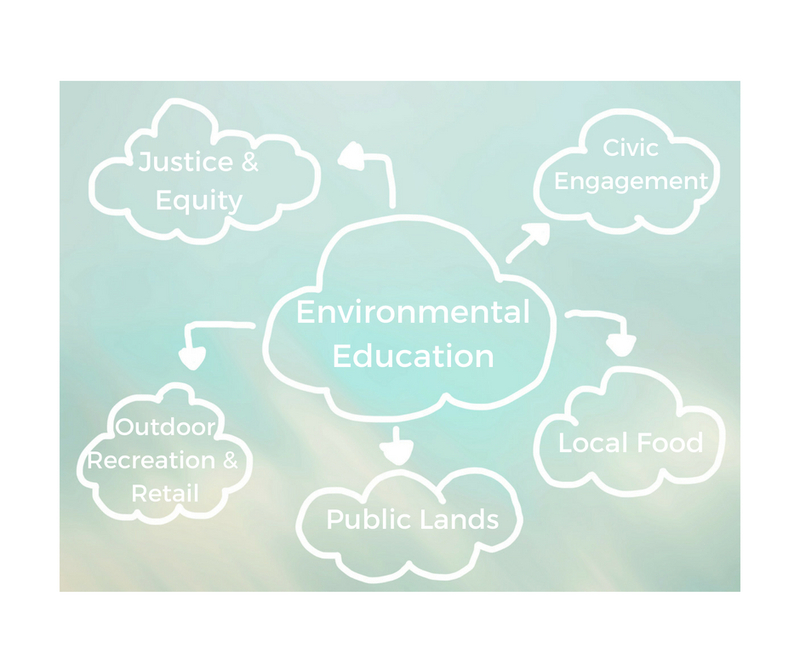 The Environmental Education Association of New Mexico (EEANM) envisions a culturally and geographically diverse New Mexico citizenry with the knowledge, skill, attitude, and commitment to make informed decisions about their environment. We support high quality curricula and programs, provide professional development opportunities for our network of classroom teachers and non-formal educators, and advocate for increased awareness of the numerous benefits of environmental education for the larger community. Our work is rooted in the belief that environmental education is a systems level investment in supporting critical thinking that will allow us all to thrive in our ever-changing world. Vicki Pozzebon will be the Host Facilitator. She brings years of experience designing community convenings for conversations that matter and create lasting impact. Vicki has facilitation training in the Art of Hosting and World Café, and Transformational Leadership methods. Vicki is a local economy and business development consultant, and designer and facilitator of the Emerging Leaders Network at Santa Fe Community Foundation and the Native Entrepreneur in Residence Community of Practice at NM Community Capital. She has worked with dozens of social enterprises and local economy systems leaders for over 12 years. Vicki is the Chair of the Board of Directors of Reconnect-Today, Partnership for Responsible Business, and an Advisory Member of the Design Corps of Santa Fe.